Someone or something is eating all my plants! It’s really bumming me out because the bugs seem to enjoy all my favorite vegetables as much as I do. They have already destroyed the three giant white bean plants I had going and now they have started into the Kale. 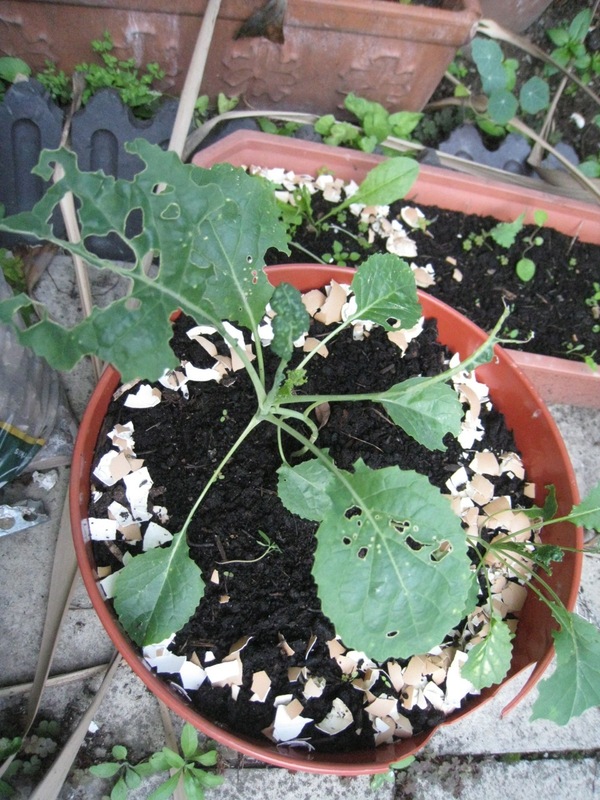 I was advised if it was slugs, I should put crushed up egg shells around the plants. The shells are too pointy for the slugs to walk on, so they won’t cross the barrier. This entry was posted in Garden and tagged aphids, bugs, garden, kale, worms. Bookmark the permalink.